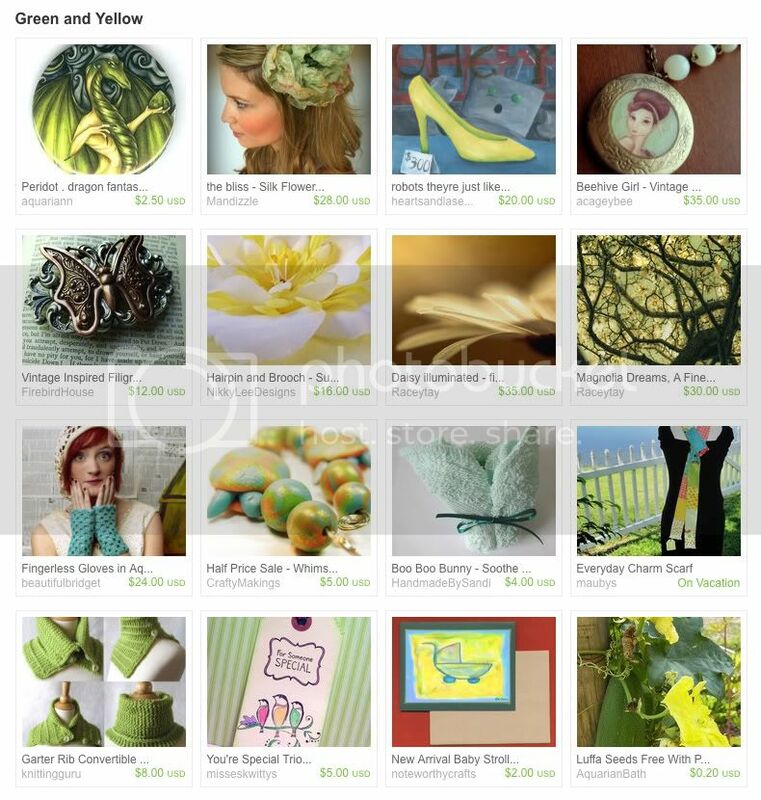 Stop and roll to this Etsy Twitter Team treasury, sprinkled together by Jewelry Drops. My Peridot dragon pinback button is having a staring contest with the gorgeous girl modeling Mandizzle's silk flower hair clip in sage. Wonder who will blink first? Dragons have the patience of eras. The girl will blink first!! I love how your art has such a flow from its swirls! Gorgeous! What a mellow take on green and yellow! Beautiful! This treasury is so interesting! Deserves FP! What a cool treasury! I agree the dragon will win the staring contest!